LAS VEGAS, July 12, 2017 /PRNewswire/ -- Scientific Games Corporation (NASDAQ: SGMS) ("Scientific Games" or the "Company") today announced the appointment of Shawn G. Williams as Chief Human Resources Officer ("CHRO"), reporting directly to Chief Executive Officer Kevin Sheehan and effective immediately. Williams' appointment comes as Gary Melampy, the Company's current CHRO, has announced his retirement. In this role, Williams will be responsible for developing and executing Scientific Games' global human resource ("HR") strategy in support of the Company's long-term business strategies. His specific focus areas will be talent management, change management, organizational and performance management, training and development, compensation, succession planning, and culture. 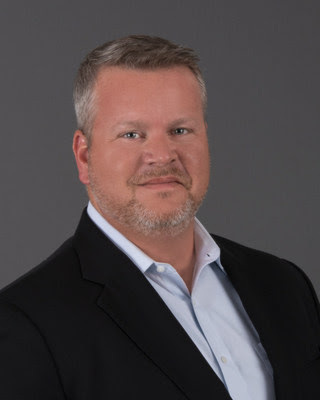 Scientific Games Chief Executive Officer Kevin Sheehan said, "Shawn brings over two decades of experience and proven success driving performance and results in global organizations in the technology sector, with a focus on HR, operations, corporate strategy and business transformation. Our shared passion for entrepreneurship and organizational development will serve us well as we continue to grow our business, hire and develop the best people, and drive a high-performance culture." Williams joins Scientific Games after serving in a number of high-level executive roles. Most recently, he served as co-founder of Defi LLC, a consulting firm for technology start-ups providing business strategy, operations, marketing, investment capital, and financial management expertise. Before that, as chief administration officer for LeECO Holdings North America, Williams led HR, information technology, and real estate, growing the company from 75 employees to more than 1,500 and launching exclusive deals with AT&T, Best Buy, Walmart and Amazon. Earlier, as Chief Administration Officer with Samsung Electronics America, Williams led business operations for the $38 billion electronics and telecommunications business, driving a complete revitalization of the HR function to establish a new culture of collaboration and performance. And during his 12-year career with Hewlett Packard, Williams held roles of increasing responsibility, ending his tenure as Chief Operations and People Officer for enterprise services. He led a global team for the $28 billion, 160,000-employee IT service business, implementing a worldwide labor model that tripled margins and a new variable compensation program that fostered growth. Williams holds a Bachelor of Science degree in Business Administration from the University of Houston, and completed executive leadership programs at Stanford University in Palo Alto, California and Babson College in Wellesley, Massachusetts.